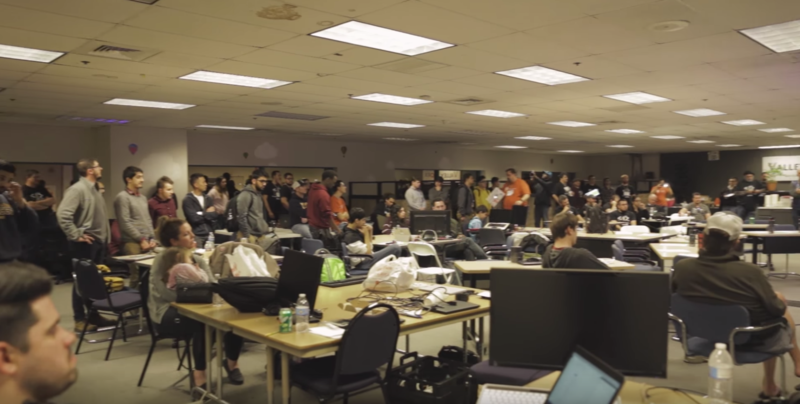 The time to come visit a hackathon is at the very end. Valley hackathon events are open to the public throughout, but we suggest that visitors come for the very end of the event. Check the schedule for the event to see when judging begins and come a little before that. The finals consist of teams that made the cut showing off their project to everyone present. Projects have ranged from an Alexa app for people who suffer from depression, to a facial recognition system for restaurants to retrieve customer preferences as they walk in the door. Seeing the amazing things that local programmers have built in 24 hours is exciting and encouraging about the future of tech in the central valley. Come on out and let us know.